The trucking industry appears to be slowly moving closer and closer to due date for trucker compliance with a new regulatory burden requiring them to use electronic logging devices (“ELDs”). Some companies may have thought they received a reprieve when new U.S. President Donald Trump issued a “regulatory freeze” memo. That memo contains an exemption for regulations related to “health” and “safety” issues, so there is some disagreement over how it should apply. There is also some additional uncertainty because Congress has also acted in recent weeks to rescind many regulations installed at the end of President Barack Obama’s term. The Federal Motor Carrier Safety Administration now appears set to move forward with the December deadline. This ELD rule is all about the federal government moving beyond piles of handwritten records into more reliable, automatically-generated data. ELDs will ensure trucker compliance by generating computerized records. Many trucking companies are already using electronic logging devices, as the federal government has been accepting ELD certifications since early 2016. If you want to learn more, download our whitepaper entitled Understanding the FMCSA’s Final Rule on ELDs. The paper explains the ELD equipment requirements and time-frame for trucker compliance. 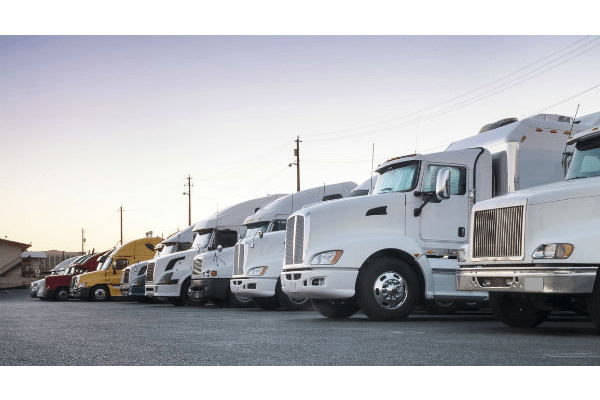 The 2019 ELD mandate need not be seen as just a regulatory cost by trucking companies. A high-quality ELD can capture a great deal of information and that can be used for multiple purposes. One example would be collecting data for International Fuel Tax Agreement (“IFTA”) compliance. IFTA is an agreement between most of the United States and the Canadian provinces to help address the tax disparity between the two countries. Basically, when a trucker fills up at the pump he or she is paying some fuel taxes. The trucker may fill up in a state or province with a very high tax, but then actually burn most of the fuel in a low-tax state. In order to clear up the disparity, the trucker files a report showing how much tax was paid and how many miles were traveled in each jurisdiction. The trucker will basically calculate how much tax should have been paid to each jurisdiction and then the trucker will either have to make an additional payment or receive a refund to pay the correct amount of tax. Geotab Drive can easily ensure trucker compliance with IFTA by using GPS data to automatically track the truck’s route. That means that instead of logging odometer readings at every border crossing, a driver can simply drive on while the onboard sensors collect the miles logged in each state. This is simpler for the driver and his or her company, but perhaps more importantly, it is also more accurate. Automated systems are less likely to have errors and less likely to be audited by regulators. Our add-ons can also track fuel purchases and automatically populate tax forms to further ease trucker compliance. Our wide variety of solutions can go much further to help simplify maintenance records and more. Contact one of our fleet consultants for more information.